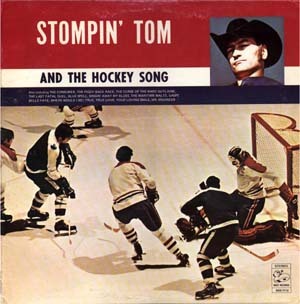 Somewhere in Ontario, Stompin' Tom Connors is nursing a grudge. It has been 10 years since the minstrel from the Maritimes put away his guitar, returned his many music awards and announced he would stomp for us no more. The down-to-earth troubadour from Prince Edward Island, who only a few years earlier had won a national audience with such folksy tunes as Bud the Spud and Sudbury Saturday Night, retired in protest against a music industry he believed was ignoring Canadian talent. He has been on a one-man crusade against the business ever since. The latest salvo in his quixotic quest is Stompin' Tom Fiddle and Song, the 51-year-old singer's first album in 12 years. He released the record this month to raise money for his latest brainstorm, an album featuring unknown Canadian country artists. Mr. Connors, who won his reputation travelling the hoser highway from hamlet to village to town, is once again haunting the beer parlors of forgotten hotels. This time, he is searching for undiscovered performers on whom he is willing to stake his modest fortune. But, despite frequent pleas for his return to the stage from such fans as actor Dan Aykroyd, singer K.D. Lang, and broadcaster Peter Gzowski, he insists on remaining in seclusion. "He really hasn't changed his stand on entertaining as yet," says Cliff Evans, a Mississauga, Ont., fire fighter who is his business partner. Mr. Connors has rarely been heard from since he angrily denounced the recording industry at a press conference in April, 1978. He pledged at the time not to perform for a year, but his only public performance since then was last year at a protest rally calling for the continuation of Canadian content regulations for radio stations. He sang one of his own songs, We Have No Canadian Dream. The long absence has given rise to many rumors. "I've heard all kinds," Mr. Evans said. "People have wondered about sickness, and, obviously, being an entertainer, the first thing most people think about is a drinking problem. I could go on and on and on, but none of these are true. Tom retired because he's fed up with the Canadian music industry. "Surprisingly, I've even had lots of comments in the few years that I've been around Tom that people have thought he had separated from Lena." Mr. Connors and his wife met 18 years ago when she was working as a go- go dancer in a bar. Three years later, they were married in a ceremony seen coast to coast on Elwood Glover's noon-hour television broadcast from a Toronto hotel. New Brunswick premier Richard Hatfield and Toronto mayor David Crombie were among the guests. Far from having separated, Mr. Connors has coaxed his wife into singing a duet with him in French on the new album. "She doesn't claim to be an Anne Murray or anything like that," Mr. Evans said. "It shows the family side of Tom." The importance of family is a frequent theme in Mr. Connors' music. He was born to an unwed teen-ager, and his earliest memories are of hitchhiking with his mother across Nova Scotia. Later, he was seized from her by the Children's Aid Society and placed in an orphanage, where he was adopted by foster parents from the hamlet of Skinner's Pond, PEI. He ran away at age 13, took a job on the docks in Saint John and later worked on coal boats. He bought his first guitar for $19 while thumbing from town to town. He sometimes spent a night in jail as a vagrant; other times he would work in construction, pick tobacco or dig graves. When he found himself a nickel short of the price of a glass of beer at the Maple Leaf Hotel in Timmins, Ont., Mr. Connors took to the stage to make up the price. He wrote songs about everyday life, using crude rhymes and knee- slapping imagery to tell the tale of characters such as the potato- hauling, truckdriving friend, Bud Roberts, whom he immortalized as Bud the Spud. He soon learned that he could pack any hall if he sang about the town in which he was performing. Thus was born Sudbury Saturday Night, about a night's carousing, and Tillsonburg, about the misery of migrant workers in the tobacco fields. The nationalist sentiment in his lyrics and his heartfelt appreciation of the rigors of the working man's life won him acclaim. Mr. Connors and his stomping board - a piece of plywood on which he kept time with his foot after a hotel owner complained about the wear on his carpet - eventually found their way to Toronto. 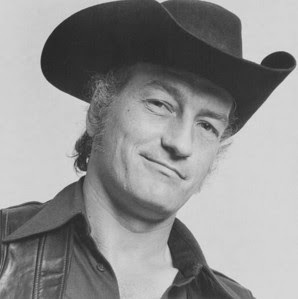 He signed a contract, recorded several albums and later starred in his own television variety show, Stompin' Tom's Canada. But he always harbored the suspicion that the city sophisticates looked at him as a hillbilly, a rube in a black hat with simple songs. He resented promoters' signing of big-name U.S. acts to star at places such as the Canadian National Exhibition. He made his break with the industry in grand fashion, returning his Juno awards to the Canadian Academy of Recording Arts and Sciences because it was honoring too many "border jumpers" who left Canada to find fame south of the border. He is less harsh in his judgment these days. He is so enamored of country crooner K.D. Lang, who has enjoyed great success in Nashville, that he has penned a tribute to her in his new album. The song, Lady K.D. Lang, includes such lyrics as, "Her main claim to fame was how she sang with a twang" and jumped around like a 'rang-ee-tang." Today, Mr. Connors lives as a virtual recluse with his wife and 12- year-old son, Tommy, near a village in Southwestern Ontario. Mr. Evans says his partner often plays the guitar for friends. The townspeople are protective of his privacy. "They come here looking for him all the time," says the woman who runs the general store. "Fans or reporters, I don't know who they are. The man wants his privacy and I respect that, so I shoo them away. This is a neighborly town, and Tom is just a neighbor." On weekends, Mr. Connors and Mr. Evans travel the highways of Southwestern Ontario looking for beer parlors featuring country music. Their record company A.C.T. - Assist Canadian Talent - released an album two years ago that featured four Stompin' Tom tunes and two songs each from unknown singers such as Kent Brockwell, a blind singer from Peterborough, Ont., and Bruce Caves, a firefighter from Norval, Ont. The record sold poorly, in part because Mr. Connors refused to grant interviews about his project. Meanwhile, his fans remain hopeful that he will change his mind about remaining a hermit. "You can't get his songs out of your head," says Mr. Gzowski, who has made several appeals on CBC Radio's Morningside for Mr. Connors to appear on the show. "He's definitely an original, and he's ours."